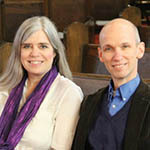 Our congregation is supported by the generous financial contributions of members and friends. Contributions of any size are greatly appreciated! Just click on the yellow DONATE button above.If you are an ongoing supporter, please consider completing our Pledge Form.